After growing up in England and Brazil, Witold Fitz-Simon moved to the United States in 1985 to study film at NYU’s prestigious Tisch School of the Arts where he was awarded a BFA, graduating with honors. He began to study yoga and meditation as an antidote to a stressful career in the entertainment industry. Taking advantage of the wealth of yoga available to New Yorkers, he began studying with yoga teacher and choreographer Colleen Winney. He followed that with several years of study at the world-renowned Jivamukti Yoga Center, immersing himself in their physically intense and devotional style of vinyasa. After a short period studying the Ashtanga Vinyasa Primary Series with Eddie Stern and a subsequent knee injury, Witold retreated from the classroom to practice on his own with BKS Iyengar’s seminal book, “Light on Yoga”. A year of solitary practice led him to the Iyengar Yoga Institute of New York. There he felt an immediate connection to Mr. Iyengar’s way of working. For six years he studied the Iyengar Method closely with one of the Institute’s founding teachers, Robin Janis. In 2000, Witold embraced the yoga lifestyle and began teaching yoga full time after a training intensive at the “Yogaville” Integral Yoga Ashram in Virginia, where he was fortunate enough to hear the late, world-renowned Swami Satchidananda teach on several occasions. Even as he began his own teaching career, he continued his training in the Iyengar method, apprenticing with and assisting Robin Janis. After a stint training with the senior teachers at the Iyengar Institute of New York, he completed the first level of assessment offered by the Iyengar Yoga National Association of the United States and was awarded the rank of “Teacher in Training” in 2002. Of late, he has been fortunate to study with Donald Moyer at The Yoga Room in Berkeley, California. Witold's anatomical approach to yoga, as pioneered by Mr. Iyengar, is intended to make the student’s own body the primary text. The calm and confidence derived from this work can be applied to any physical or spiritual activity, from fitness and healing to a deeper understanding of one’s self and the world around us. Physically and emotionally challenging, it is a practice that can see the student through every phase of life and beyond. 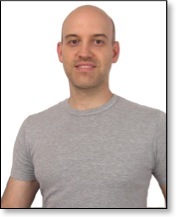 Witold continues to teach and write about yoga full-time in the New York area. Witold is author of the "Yoga Practice Journal" and "Practicing Freedom: The Yoga Sutra of Patanjali" published by Dedo Press.